Message Queues and Publish/Subscribe middleware have been around for several decades and messaging is a stable and mature technology used successfully in a wide variety of ways within today’s production enterprise architectures. However, as with other mature technologies like the Relational Database, the natural slowing pace of innovation has recently been disrupted and the market has been reinvigorated by a significant rethinking of how to implement this core functionality in the face of the new demands of web-scale distributed computing, private and public cloud, big data, and continuous stream processing. 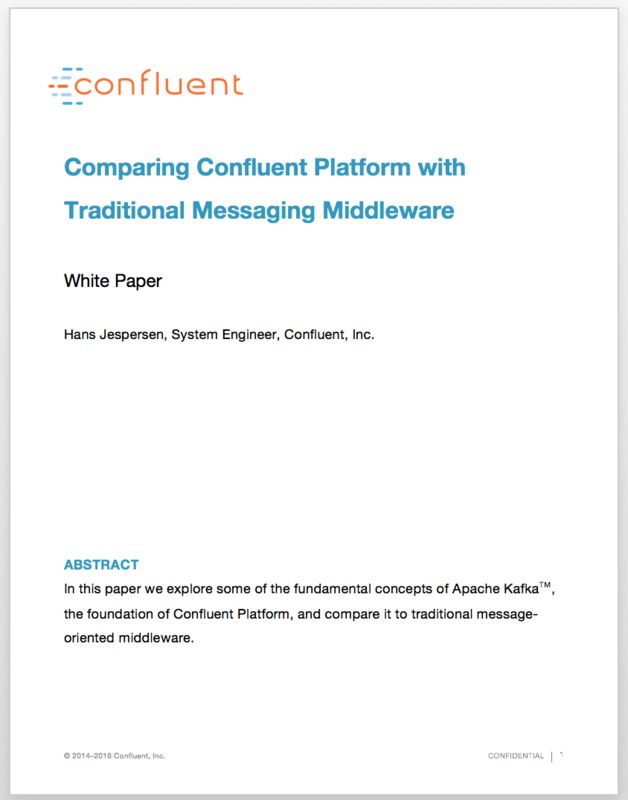 In this paper, we will explore some of the fundamental concepts of Apache Kafka® that make this technology unique and differentiated when compared to traditional message-oriented middleware such as IBM WebSphere MQ, TIBCO EMS, Apache ActiveMQ, and JMS brokers in general. Hans Jespersen is a principal systems engineer at Confluent where he helps other organizations get maximum value from Apache Kafka and the Confluent platform. Before coming to Confluent, Hans worked as the vice president of systems engineering at Solace Systems after spending many years contributing to the success of other companies. Hans brings 25 years of experience in helping a large variety of companies in their deployment of large scale mission critical infrastructure. Hans got his degree in Computer Science from the University of Waterloo and is passionate about technology.